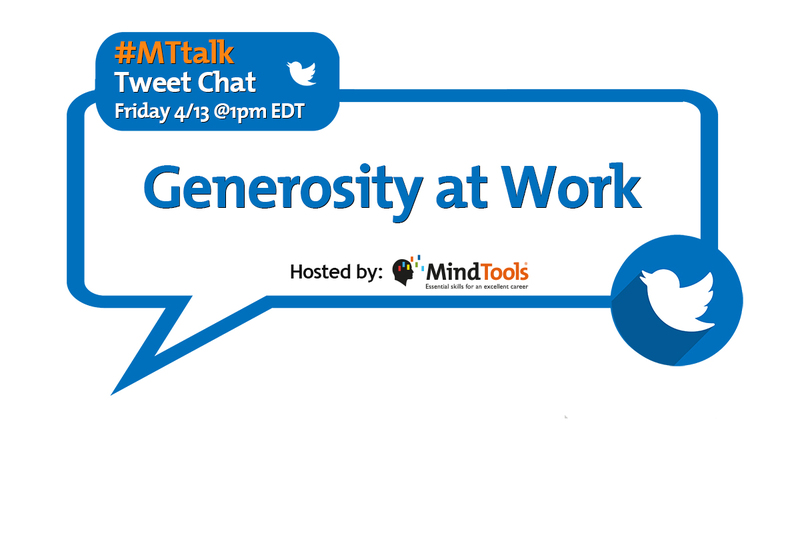 Generosity at Work – Join our #MTtalk! Recently, when I visited family members who live in another province, I saw a chart stuck to their refrigerator. The heading said “20 Acts of Kindness.” The chart was divided into 20 blocks. All of the blocks had pictures stuck in them, and 11 of the blocks contained dates. Intrigued, I asked what the chart was about. The mother explained that her was taking part in a school project and, over three months, the students had to perform 20 acts of kindness in their community. They’d fill the chart with the dates of these events and pictures of what they did. The children went to schools in less privileged areas, to retirement homes, and to shelters for homeless or vulnerable people. And here’s the part that I really liked: they weren’t allowed to donate cash from their parents’ pockets. If they wanted to give money, they had to launch a project to raise it – either by selling something that they had made, or by performing a service like washing cars. The idea was that they had to do something for others by giving of themselves and their time. One of the tasks that my relative’s daughter, Sarah, found the most rewarding was to take a walk with a resident of a retirement home. This person had no contact with his relatives, and he hadn’t received a visitor in five years. He got tears in his eyes when the matron of the home asked him if he’d like to take a stroll around the park with Sarah. Later, he said that what meant most to him was her undivided attention when he told her stories of his childhood. Sarah now visits him regularly, and she no longer marks it as one of her acts of kindness for the project. It has become something that she wants to do. When my relative told me about the project, I wanted to give the school principal a huge round of applause! What the children learned wasn’t just the virtue of giving. They experienced firsthand how much joy and satisfaction generosity brings. And they saw how a simple act of kindness could bring immense happiness to another person. Cultivating a spirit of generosity in people can only benefit them and their communities. Only through the act of giving can we learn that giving is also the greatest gift we can receive. In his book, “Give and Take: A Revolutionary Approach to Success,” Wharton professor and award-winning researcher Adam Grant examines the science behind giving. His research shows that the most successful people, including leaders, are those who give widely and freely. So, how can we be generous at work? Grant found that servant leaders in the workplace are generous with their advice, time, attention, coaching, feedback, praise, and even constructive criticism. In our Twitter poll this week, we asked what kind of generosity you’d like to see more of in the workplace. More than a third of you said that you’d like to see more mentoring. Almost as many participants said that they’d like to see more information being shared. Click here to view all of the options, and the results. How might generosity help you to be a better leader? In what ways can a team become stronger when people are generous with each other? Have you ever seen generosity being taken advantage of? What happened, and what was the result? How do you maintain your boundaries and ensure that your generosity isn’t abused? Some people might find generosity patronizing or disempowering – how can you behave to really benefit the recipient? How might you encourage more generosity, and be more generous in the workplace?